There’s no better way to soak in the breathtaking scenery of Oregon’s famous Columbia River Gorge and majestic Mount Hood than via scenic rail tour aboard the Mount Hood Railroad. Enjoy scenic rides throughout the Hood River area in all seasons, with our vintage engines, themed classic cars, plus elegant dining, events and THE POLAR EXPRESS™ Train Ride. Depot located in downtown Hood River at First Street and Cascade Avenue. Travels through beautiful Hood River Valley to the base of Mount Hood. Two excursions, Odell and Parkdale, are available. Days and departures vary by season, so call 1 (800) 872-4661 for information. 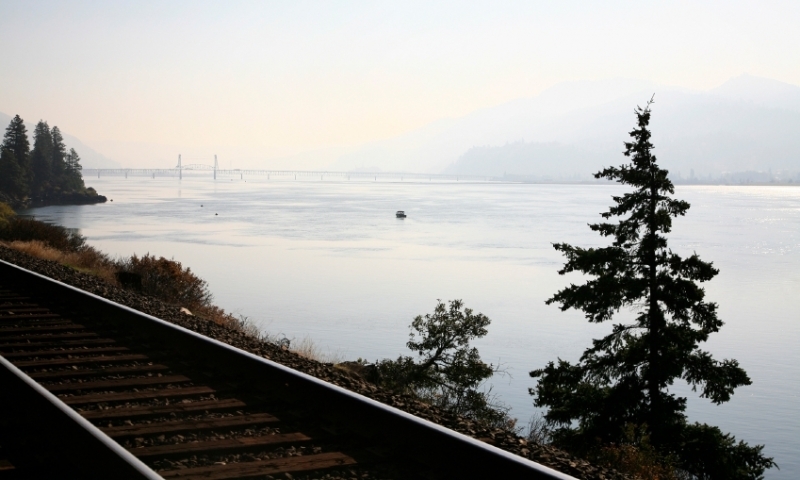 Enhance your visit to the Columbia Gorge with an excursion on the historic Mount Hood Railroad. This century-old railroad once served as an economic conduit linking fruit farmers and foresters with their markets. Today, although still a freight line, the railroad’s primary function is to provide exciting excursions through the beautiful Hood River Valley to Mount Hood. The train’s pleasure routes begin at the northern depot in downtown Hood River, traversing the lovely Hood River Valley lush with fruit trees, glorious flower fields, and postcard views of Mount Hood and Mount Adams in the towering Cascade Range. The railroad’s southern terminus lies at the base of Mount Hood in picturesque Parkdale, where you can enjoy a meal and visit the local museums. Excursions are made aboard original historic cars dating from the early 1900s. Mount Hood Railroad Depot is about 60 miles east of Portland in Hood River, Oregon. Take I-84 east from Portland to Exit 63; find the depot on the corner of First Street and Cascade Avenue. You also can approach Hood River northbound on State Highway 35. Mount Hood Railroad offers a variety of excursions (See all Trips). Parkdale Excursion: 4 hours, 44 miles round trip; 1 hour layover in Parkdale for lunch. The Parkdale train runs 11 am – 3:30 pm April-October; available days vary by season, so call to confirm departures. Scenic rail tours in western Idaho.